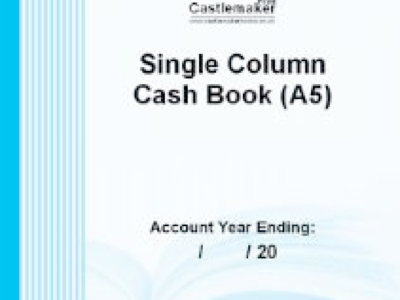 I have a small orange book with ‘Single Cash’ printed on the outside, presumably sold by the Post Office or similar for the purposes of keeping one’s accounts. My parents bought this book in the 1970s and used it to record guests to their house, who liked what, who drank what, what they ate and how successful it was. They devised a star-based system, *** denoting ‘excellent’, ** for ‘good’, * for ‘boring’ and a terse horizontal line to indicate ‘don’t do it again’. Most of the handwriting belongs to my mother, but occasionally my father has added a note in his characteristically tiny hand, so that one can get a sense of them as a couple as well as the occasion they describe. For example, on May 5th, 1978 the guests were Denis and Jan and my parents served a menu so redolent of the time that the date is superfluous: vichyssoise, onion and paté quiche, three-cheese quiche and salad, followed by banana and ginger mousse. My mother comments underneath as follows: “Jan ate very little [and] didn’t drink much. Jan does not like banana or ginger (or us!). Denis does. Not a successful evening”. My father has added at a later date, “nor, indeed, was the return match, 15.7.78”). I wonder if it is telling that the banana and ginger mousse is the only item on the menu to receive three stars? This evening was two years before I was born, so I have no idea who Denis and Jan were or how my parents knew them (although I note that they are not invited again, except when the group is very much larger). They sound rather like the sort of couple described by Basil Boothroyd in the opening pages of Lets Stay Married, who appear stable and sane with no more than the usual trivial irritations and discontents, and who then suddenly divorce in a blaze of acrimony and are never seen again, except from a distance with their new and horrible partners. My only quibble is Mrs. A’s tolerance for domestic violence on page 105: ‘… my advice to a girl who wants to save her marriage is wear long sleeves for a week, or dark glasses if an eye is affected.’ LiteracyWhore does not condone this view. ‘Sconge’ isn’t a word, you say? I think you will find it in free usage in the LiteracyWhore/Garden Naturalist household, along with the eternally useful phrase ‘were you raised in a bag?’, also from Lets Stay Married.